Broker Nicole Solari has been obsessed with real estate ever since she can remember, and in 2013, she left a successful career in tech to pursue her passion full-time. Technical savvy, insatiable drive, and devotion to exceptional client service quickly put her among the top-producing agents in Solano and Napa Counties. But when it became clear that her unique brand of client-centered service required a different business model than the production-driven, big brand agencies, she launched The Solari Group. A Georgia native and graduate of the University of Georgia, Nicole brings her natural Southern charm to managing a growing roster of agents. 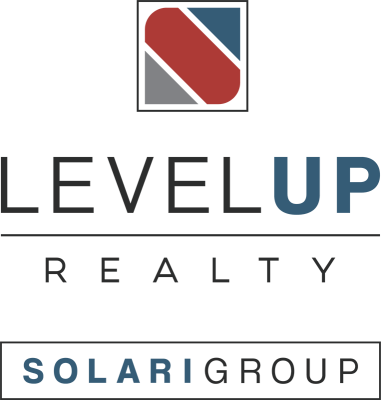 With offices in Napa and Fairfield, the Solari Group is now one of the premier agencies in Solano and Napa counties. Clients say that Nicole is a dedicated, attentive, highly-skilled negotiator that has their best interests at heart and the knowledge and connections to make their housing dreams come true. Nicole holds GRI, CRS, SRS, SPRES, and NARPM certifications and is on the Women’s Council of REALTORS®. Her management companies, Keyrenter Solano and Keyrenter Napa, and her design firm, Napa Valley Modern Staging and Design, are invaluable resources for her clients. As a member of the Napa Chamber of Commerce, Nicole is always learning more about her community. Her time outside of work is devoted to her family-including her rescue dog Aubie. She also enjoys running and good food. Real estate is in Melinda Capp’s blood. Her mother was a manager at a title company, and Melinda has been a licensed real estate professional since 2009. Her enthusiasm and flexibility allow her to meet the demands of today’s savvy buyers and sellers in the challenging, continually-changing real estate market. Having lived in the Fairfield area since childhood, Melinda has deep roots in the community. This extensive familiarity, her attention to detail, and commitment to excellence ensure that all her clients get the highest possible level of service. Melinda started her real estate career working at a local title company while in high school. After graduation she moved into the lending world, working her way up from answering phones to being a loan processor, and finally, a loan officer. She took time off to start a family, but she has been a local real estate agent in Napa and Solano Counties for over fifteen years. Knowing all aspects of the buying and selling process sets Melinda apart from most other agents. She is experienced in short sales and foreclosures and can help with loan modifications. Whether people are looking to buy or sell, their needs are her top priority. She works to make transactions smooth from start to finish, and she prides herself on her honest, ethical practice. Maggie Celestini is a real estate specialist and a top producer who has extensive knowledge of the local market. She grew up in Italy and South America, which gives her a multicultural perspective and fluency in Spanish and Italian. Her mission is to consistently go above and beyond her clients’ expectations, and she makes it her business to educate them throughout the real estate process so they have the knowledge to make the most informed decisions. Her easy-going personality, positive and relaxed attitude quickly puts buyers and sellers at ease. Clients know she is an expert who will look out for their best financial interests and negotiate contracts to their benefit. They also appreciate her thorough understanding of financing options and the legal aspects of real estate. A UC Berkeley graduate, Maggie has a Bachelor of Arts in Spanish and an Associate’s Degree in Business from Solano Community College. During her 25-year career at Levi Strauss & Co., she traveled the world, working closely with international business partners while establishing herself as a personable, customer-focused professional and skilled negotiator, skills she brings to her real estate practice. Maggie enjoys the outdoors, cycling throughout Solano County’s valleys, hiking in Hawaii, running at Lagoon Valley, and spending quality time with family and friends. She lives with two animals, two grown children, and her husband. Living in Solano County for most of his life has given Dylon Baker an in-depth knowledge of the community. That’s one of the reasons why his buyers find their dream homes and his sellers get the best offers. Clients remark on his diligence, honesty, preparedness, and real estate expertise. He is dedicated to providing service that never stops. From the beginning of the transaction to its end, Dylon shows up at the highest level. Before Dylon began his career in real estate, he was in the home remodeling industry. Running hundreds of projects taught him how to see through the ordinary to create the extraordinary. He now uses that talent to help clients understand the potential value within the houses they’re considering buying or selling. Dylon has the drive to match his clients with the home that they love while making the entire process as easy as possible! Jason Traylor has years of customer service management experience under his belt. He ran several high-volume Starbucks Drive Thru stores in Southern and Northern California and he also owned his own landscaping business. These experiences taught Jason several important skill sets, including marketing, graphic design, and the importance of a strong social media presence. Jason started his real estate journey doing curb appeal consulting and flipping landscapes. Jason is a driven and grounded person with a genuine heart to do good. He works hard and loves when his clients become lifelong friends. He wants his life to have meaning and helping people reach their home buying or selling goals is very rewarding to him. Jason is not in real estate to get rich; rather, he wants to better provide for his family and make a difference in people’s lives. When not helping achieve their real estate goals, he has been married for nearly 19 years and is the father to two children. Senior Real Estate Specialist Teri Buchanan provides concierge-level real estate services to first-time and experienced Napa and Sonoma Valley buyers and sellers. Her real estate experience in San Francisco and the North Bay exceeds 20 years, and she knows the Napa and Sonoma Valleys like a native. Before becoming a Realtor, Teri was the managing partner of a San Francisco marketing communications firm, where she supported real estate developers and allied professionals for years. She found her way to Napa in 1992 and has called it home ever since. Her clients routinely say, “Teri is the best agent I ever worked with.” And that’s her goal – to be the best agent any client has ever worked with. Having relocated herself, she knows the stresses and joys of starting fresh. She tailors her services to make each transaction as stress-free as possible, and Teri’s service is always top-notch, whether her clients are buying an entry-level condo, selling a large family home, and downsizing locally or out of town. The city of Travis Air Force Base is where real estate agent Evan Petit-Frere calls home. Coming from a military family, Evan understands the importance of uniformity, transparency, and integrity, especially when helping his clients make one of the biggest financial decisions of their lives. In Evan’s eyes, clients are more like family or a brotherhood where service comes before self. He listens intently to help clients get clear about their criteria and what’s most important to them. Clients consistently feel like he has their back in tough negotiations that deliver the most favorable terms for them, and because of that, he is able to form long-lasting bonds. That is why he makes it his duty and obligation to go above and beyond to deliver the quality service clients deserve. After spending seven years in the customer service and technical field with AT&T, Evan decided to leverage his knowledge, experience, and transparency to pursue his dreams in the real estate field. After meeting with Nicole Solari and the tight-knit, cohesive Solari team, he knew it was a perfect match. Being backed by a strong, knowledgeable group has given him the opportunity to excel and “level up” at a much faster pace. Evan loves being around people and in his free time, you can find him enjoying Solano County’s cultural beauty with his fiancé and two sons. He loves hiking, dancing to live music, local events, and trying great restaurants in and around the surrounding area! Mario Moreno started his career in real estate as a loan officer in 2003. He became well-versed in the industry and helped many clients purchase homes until the financial collapse of 2008, when he was forced out by economic necessity. He then joined his brother in the transportation business, eventually managing a fleet of over 40 vehicles and drivers. In 2011, he founded a transportation corporation and worked in collaboration with FedEx Ground. Mario had always enjoyed the real estate industry, so when the market began to recover in 2013, he started buying, fixing, and selling houses. In the process, he learned about legal procedures, marketability, construction costs, how to determine a home’s real value, and about the many other aspects involved in flipping properties. Opportunities grew, and in 2015 he founded Moreno Properties. Mario worked diligently and found that many houses were in excellent condition and priced reasonably but were not suitable for flipping. He realized that selling these properties as a real estate agent would be more effective and joined The Solari Group, a firm with great marketing and advertising strategies, in 2018. Mario’s extensive real estate knowledge, his experience in both buying and selling homes and investment properties, his passion for the industry, along with the support of a solid team make him a prime negotiator who always obtains the best value for the buyer and an equitable stress-free sale for the seller. Real estate agent Adriana Arana works with the same solid principles she learned as a child: commit to what you believe in, never take “no” for an answer, and anything worth having is worth working hard for. Adriana is now bringing those same values to her career as a realtor with Level Up Realty, where she finds she’s completely in sync with the commitment to the client’s best interests that have become a hallmark of the Level Up team. Originally from Fairfield, CA and a 20-year resident of Solano County, Adriana has worked in real estate since 2009 and has extensive experience in subdivision processing, property management, and banking. She also holds a degree in Business Administration, which is no surprise considering that she got her first lessons in sales at age 12, working with her aunt selling hand-crafted porcelain home decorations, and has been a independent small business owner since she was 19. Adriana’s entrance into real estate came after her own negative experience with an agent convinced her to become a realtor as a way to put into action her passion for positively helping others. She strives to serve her clients and her community with integrity, hard work, and determination. Adriana firmly believes that life is too short to live with doubts and to not fulfill your maximum potential, and her long-term goal is to be able to look back on her life and know that she gave 100% and left nothing on the table. Outside of real estate, Adriana enjoys cooking, and spending time with her family. Natasha has always had a passion for helping people reach their dreams. She takes pride in assisting others and has gone from not only helping individuals reach their real estate goals but also families. In her current role as a real estate professional with The Solari Group, Natasha leverages her talents and experience to provide her clients and her team with the best service. Her experience includes distinguished branding, high-tech marketing techniques, personal touches and excellent negotiation skills. Having bought, sold and renovated multiple homes of her own, Natasha understands the ins and outs of home ownership, getting a premium value and the need to make the process as smooth and stress free as possible. Hayley recently moved to Solano County from the East Bay, making Vacaville her home. She enjoys hiking, camping, baking and spending time with her husband and two dogs. She is a detail oriented person and wants to make any home buying process as easy as possible for everyone involved. Jaclyn, originally from Ohio moved to California to grow her career where she had already built a solid foundation as a sales assistant. Her goals are to help people and continue to work on her own personal growth. As a problem solver, she loves the constant challenges in real estate. Not too long ago, for a birthday celebration, Jaclyn climbed "Stairway to Heaven" in Hawaii. Throughout her hike, there were many times she wanted to give up and not climb another step. Even though this was such an enduring task she knew she could make it. That taught her that there is not a stair she can't climb to achieve anything she wants. It has always been a dream of hers to follow her great grandmothers legacy of helping families find their dream home while building long lasting relationships. Melissa Williams, a Bay Area native and now resident of American Canyon, has held a lot of titles in her career and has put down her roots in the real estate industry holding the unofficial title of "Officer of Fixing Everything" with an official title of "Executive Assistant to Nicole Solari & Ali Cosetti." She is a proud parent, dedicated to the community and prides herself on being a life-long learner. I grew up in Northern California, attended Sonoma State University and settled down in Sonoma County where I live with my wife and three children. I currently serve on the board of directors and am involved in many organizations such as COTS and The W Foundation. I believe that being involved in the community is essential for a better learning and living experience for generations to come. Along with being a mortgage professional, I am a food and wine enthusiast. I love sharing moments in time with people I know, and don’t know, so that I can live a life full of perspective. I don’t believe that anything in life is impossible. With a good attitude, anything can be accomplished!